È da oggi online la guida The WineHunter Award consultabile gratuitamente sul sito award.winehunter.it. Competenza ed esperienza alla base della “caccia al miglior vino e prodotto gastronomico” del WineHunter Helmuth Köcher, presidente e fondatore del Merano WineFestival (9-13 novembre 2018). Una ricerca costante intrapresa assieme alle sue commissioni d’assaggio, confermata dal sempre crescente numero di prodotti inviati in degustazione, e che proclama solo le migliori aziende enogastronomiche che parteciperanno all’esclusiva kermesse altoatesina. Degli oltre 5.000 vini degustati, poco più di 2.500 sono entrati a far parte della guida; tra questi vini eccellenti 54 sono candidati all‘Award PLATINUM, il marchio più importante della selezione, assegnato ai vini che si sono distinti per eccellenza e unicità. L‘Award ROSSO è assegnato ai vini con un punteggio da 88 a 89,99 su 100; il GOLD a quelli con un punteggio da 90 a 94,99 e infine il PLATINUM premia chi ha ottenuto più di 95 punti su 100 e oltre. I vincitori del PLATINUM sono sveltati solo nei giorni del Merano WineFestival. Non solo vino; la guida The WineHunter Award seleziona anche le eccellenze gastronomiche. Per il WineHunter Helmuth Köcher “Excellence is an attitude” ossia la sua visione del mondo del vino è rappresentata dall’eccellenza è in quest’ambito secondo lui è descritta da un’opera d’arte considerata un capolavoro indiscusso della pittura mondiale nei secoli: Il Giardino delle Delizie, trittico del pittore fiammingo Hieronymus Bosch operante nella seconda metà del 1400. Nel capolavoro artistico sono affiancati da un lato Il Paradiso Terrestre con la creazione di Adamo ed Eva e dall’altro L’Inferno Musicale, nel mezzo raffigurazioni che fanno pensare al purgatorio. Per Helmuth Köcher l’opera possiede la forte espressione della sua visione del mondo del vino e rappresenta un parallelo col metro di giudizio con cui egli stesso attribuisce valore ai prodotti che degusta. «L’opera rappresenta ciò che io cerco in un vino» spiega Köcher. «L’attribuzione del riconoscimento inizia quando si iniziano a distinguere i dettagli e le finezze (Award Rosso); poi, più si sale, si arriva alla qualità (Award Gold) e all’eccellenza, al Paradiso Terrestre (Award Platinum). Ma non bisogna dimenticare che si può anche cadere nell’Inferno Musicale, quando un vino ha dei problemi o non è di qualità». The prestigious guide to the best Italian enogastronomical products, meticulously evaluated by the name giving WineHunter and founder of the Merano WineFestival, Helmuth Koecher, is now online. More than 2,500 different wines have received an award out of over 5,000 assessed ones. Also more than 400 gastronomical products have received either the Rosso or the Gold Award. Now, people are eager for news about who out of the best Gold award winners will receive the renowned The WineHunter Award Platinum. From today on the online guide The WineHunter Award is accessible free of charge under award.winehunter.it. Expertise and experience lies behind WineHunter’s „hunt for the best wine and gastronomic product“, says Helmuth Köcher, president and founder of the Merano WineFestival (9-13 November 2018). A constant progress is achieved together with his tasting commissions, confirmed by the ever increasing number of products sent for evaluation. Out of the over 5,000 wines tasted, just about 2,500 have been able to enter the guide; among these excellent wines 54 are candidates for the Award PLATINUM, the most important recognition, awarded to wines that have distinguished themselves for excellence and uniqueness. 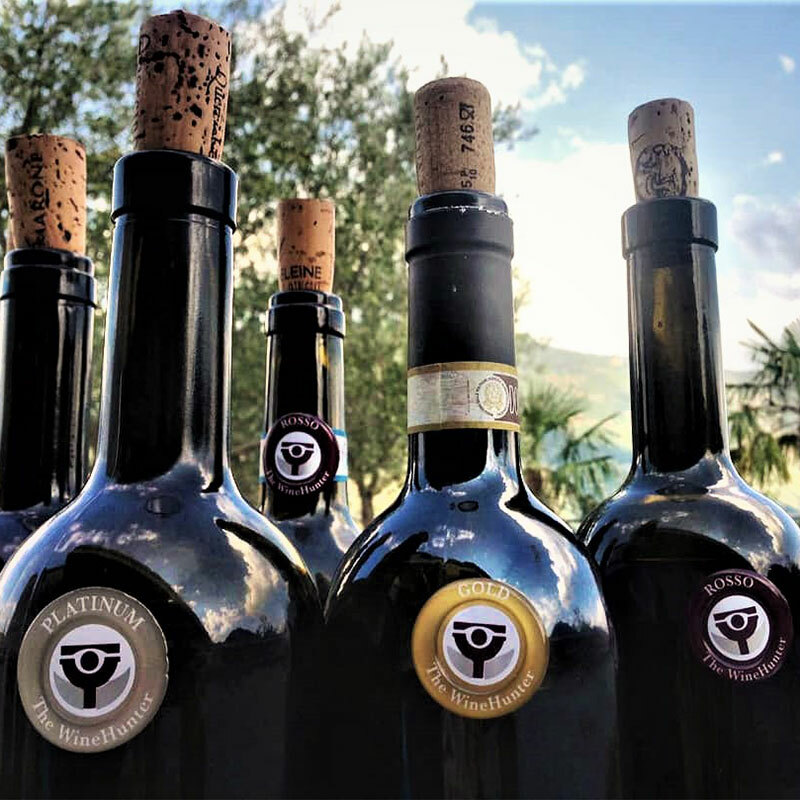 The ROSSO Award is awarded to wines with a score from 88 to 89.99 out of 100; the GOLD to those with a score from 90 to 94.99 and finally the PLATINUM rewards those who scored over 95 points out of 100. The PLATINUM winners are only announced during the Merano WineFestival. Not just wine; The WineHunter Award guide also selects gastronomic excellences. Helmuth Köcher selects the highest quality products of Italy, small and large artisanal producers, with uniquely delicious tastes are included in the online guide. The guide is intuitive and designed for a linear navigation even with tablets and smartphones. Through the side menu you can filter the products displayed according to Type, Denomination, Region, Award. For The WineHunter Helmuth Köcher „Excellence is an attitude“! His vision of the world of wine is represented by excellence and in this context it is manifested by a work of art that over the centuries is considered an undisputed masterpiece of world painting: The Garden of the Delights, triptych of the Flemish painter Hieronymus Bosch operating in the second half of the 1400s. The artistic masterpiece consists of three parts; on one side the Earthly Paradise with the creation of Adam and Eve; on the other the Inferno. While the middle is inhabited by a vision of purgatory. For Helmuth Köcher the work serves as an expression of his vision about the world of wine and represents a parallel with the parameters with which he evaluates the products he tastes. „The art work represents what I look for in a wine,“ explains Köcher. „In the picture there are three parts that can be compared to the various levels of recognition that I express thanks to The WineHunter Award. When I face a wine and regard its particularity, the wine transmits a series of emotions. If these emotions do not allow you to define the sensation well, and it is too vague or the sensations too crowded without form, then the wine does not fall within the parameters of the Award. The recognition with an award begins when you are able to distinguish details and finesse out of the sensations it provides you (Rosso Award); then, the more you climb, you get to the quality, which takes form and conveys more than just a sense of taste but an image of an idea (Gold Award) and excellence. Finally, when you reach the top of this climb you get a magnificent product with unique or perfectly executed components that interact harmoniously on every level to get you to the Terrestrial Paradise (Award Platinum). But we must not forget that one can also fall into the Inferno, when a wine has problems or does not provide the necessary quality. The Triptych of Delights to me represents the world of excellence and storytelling with which you can explain the whole philosophy of The WineHunter ».